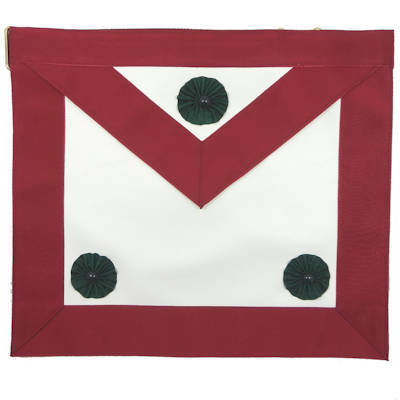 Knight Mason Apron Past Excellent Chief #750PEC, Los Angeles Fraternal Supply Company Inc.
Knight Mason Apron Past Excellent Chief Apron. 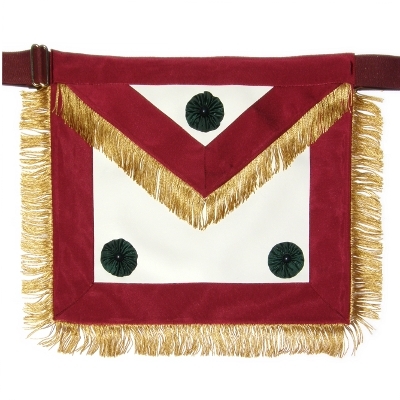 The Apron has Wine colored grosgrain ribbon borders with three green rosettes.This apron has an adjustable web belt with a " T " hook closure, perfect for a waistline of up to 50 inches and is finished with 2-Inch Gold Silk/Rayon fringe. 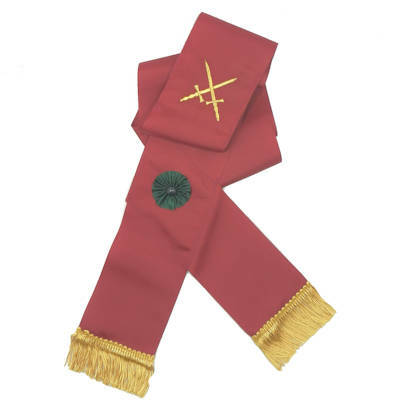 This apron measures approximately 13" x 15" and has a Wine colored satin lining on back. Made In The USA!